Yellowsapphire.org.in is a venture of Venus Enterprises established in the year 2003. Venus Enterprises has been strongly focusing on natural gemstones industry from last 15 years. India’s one of the biggest suppliers of precious and semi-precious gemstones. Having a strong physical distribution network of 2000 dealers across globe counting Jewelers, distributors, fashion designers, exporters and astrologers under their belt. Yellowsapphire.org.in is very grateful for the long-standing relationships we’ve built since 2003. 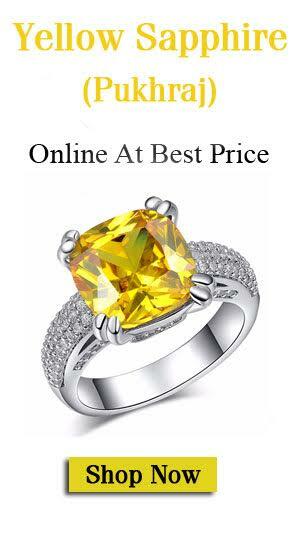 Yellowsapphire.org.in strongly focuses on Natural Yellow Sapphire Gemstones (Pukhraj Ratna), Each yellow sapphire gemstone is accompanied with Gem Authentication certificate by Gemlab. All the yellow sapphire gemstones sold by Venus Enterprises are accurately described to the very best of their knowledge and information — Gem Type, Size, Weight, Shape, Cut, Color, and Clarity. We fully guarantee that all of our yellow sapphire stones are natural gemstones and untreated. We Believe in long-term relationships with our customers. “What you see is what you get” policy. We have 2800+ natural yellow sapphire gemstones for you to choose from. We have gemstones that suit every occasion, mood, budget, need especially for astrology purpose. We take a careful note of the latest gemstones trends and customer feedback to bring you the best gemstones. 100% transparency in each order we serve. All stones presented in the online store are live products for selling. There is no sample photos and videos to mislead the customers. Our gemstones are sold along with the seal of trust from Gemlab Laboratories. Not even we can touch the gemstone. Each stone has its own Gem Identification Number (GIN) and can be tracked online from the certification authority. Our gemstone prices are much much lower than the other online sellers because we are directly mining the stones from Source (Ceylon Mines) and there is no middleman involved in between as compared to other sellers. Don’t fall in the trap of other sellers with the high price. STRONG CODE OF SOCIAL, ENVIRONMENTAL AND BUSINESS ETHICS. WE HAVE A FULL REFUND! AND EASY RETURN POLICY*. We don’t deal with the reselling of gemstones therefor our gemstones are much better to use for astrology. We are selling natural yellow sapphires and not the used one (Reselling of gemstones). So be sure about the stone is fresh to use. Being an online store, we have no inventory handling costs and other extra charges. The costs saved here reflect in our incredibly low prices. We first opened our doors in 2003 with a jewelry showroom with the name Sehdev Jewellers in Amritsar. We have built our company on a strong foundation of superior trust and ethics. We take great pride in our reputation and offer only the highest quality sapphires and jewelry. We’re in the gemstone business because we love what we do. We have a passion for natural gemstones. We love to work with people who are as excited about our gemstones as we are!